Little doubt exists in technology circles that Artificial Intelligence (used as a catch-all term) offers incredible potential, has an exciting future ahead of it and has potential to profoundly change the world. Even outside those circles, the possibilities are being recognised and debated. This week Mark Carney of the Bank of England set out a middle-class nerve-shredding view of the future, one where millions of comfortable jobs would be automated and performed by robots (either virtual or physical) combined with some form of advanced AI enabling it to learn and perform tasks to human levels of ability. This vision of the consequences of the "fourth industrial revolution" is scary, and not just for those who perform easily replicable manual tasks like bricklaying (see tweet to the right). We've seen a slow increase in automation of manual jobs over a number of years (car factories), seen more complex automation (agriculture and food processing) and now we're seeing automation of mental tasks in the media (see Anne McElvoy's excellent Standard article on the topic in the tweets to the right). What sets this "revolution" apart from the one Ned Ludd and his followers tried in vain to prevent is the infrastructure of mass communications within which it will be played out. Ludd had hammers, town criers, pitchforks and was opposed by militiamen. Anyone looking to protect their middle class jobs in the media, banking, law, accountancy or any number of other professions over the next few years will have tweets, hot-takes, polite but relatively easy to override protest movements and incredibly well funded industry lobby and marketing teams to oppose them. Working in technology communications is a great job, but there's an ethical consideration when working in these sorts of areas. Technology vendors have made good steps in creating AI ethics boards to ensure the development and use of the technology is going to be genuinely beneficial to humans, an essential (if belated) move. I would suggest those in communications working in this area should also revisit their wider responsibilities. Unless we (agencies, vendors, journalists, analysts) consider these ethical issues extremely carefully we could end up sleep walking into all sorts of conflicts of interest. 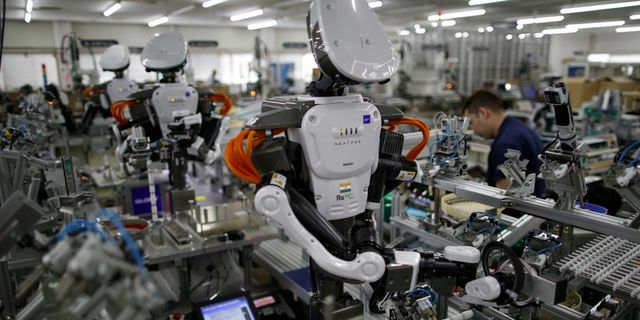 The World Economic Forum (WEF) believes we are in the midst of a "Fourth Industrial Revolution," with robotics and artificial intelligence (AI) transforming economies around the world. WEF estimates that 5 million jobs will be destroyed by these forced by 2020. Research by Citi and Oxford University earlier this year estimated that 57% of jobs across the OECD are at risk of automation. Technology optimists argue that developments like AI or robotics will create more jobs than they destroy — someone has to build the robots, train the AI, and there will be new jobs that we can't even image now. However, Carney told the audience at Liverpool John Moores University: "The fundamental challenge is that, alongside its great benefits, every technological revolution mercilessly destroys jobs and livelihoods – and therefore identities – well before the new ones emerge.